This isn’t so much the start of the next adventure as the countdown to kick off. We are already well down the road from the start. Those of you who have been following on Facebook know there’s a little project in the offing, and today we have an actual start date after finalising the contract for the new truck build. Oh, and there was also a bit of driving it for the first time. Back in the day, when I was looking at Landrovers and Toyotas for the first trip to the desert, I came across videos of the support trucks for the Paris Dakar rally. Whilst some wrote them off as being ‘ridiculous, and not in a good way’, there’s always been a sneaking wish to go drive one. 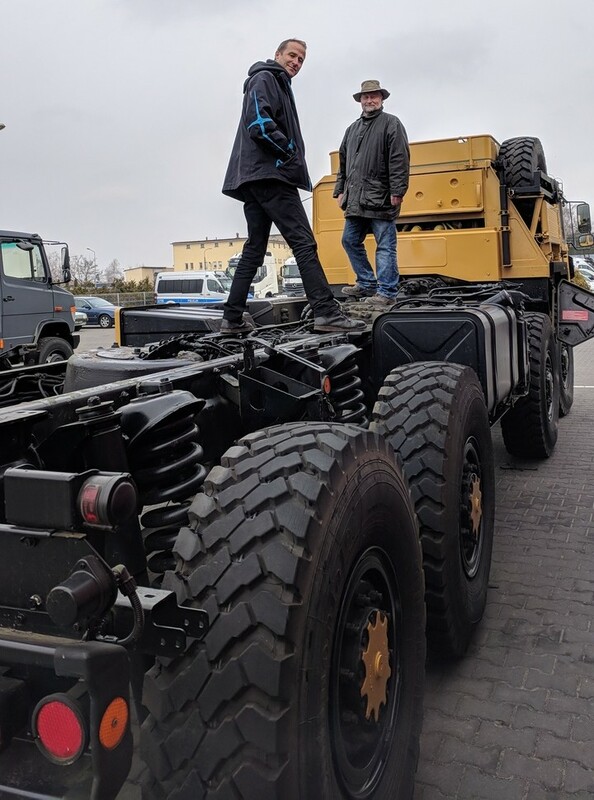 Well its not a Tatra, but Vegan Without Frontiers Limited is now the proud (and slightly nervous) owner of a low-mileage, ex-German Army M-A-N KAT1 (A1) 8×8, which is about to be turned into an off-tracks rolling vegan guest house…or is it a yacht on wheels? This time next year we should be taking it on ‘sea-trials’ to West Africa before embarking on a round the world journey. Its five–year mission: to explore strange new worlds, to seek out new life and new civilizations, to boldly go where no M-A-N has gone before. Which to be fair is at least as accurate as it was for the USS Enterprise! I do however suspect it is unique in the world of vegan travel. We will soon be opening for public involvement – crew and guests are needed for the first dip into the Sahara through Morocco, Western Sahara, Mauritania and Senegal. Lets call it the Poznan-Dakar Rally? For this trial adventure there will be big discounts for guests who are willing to be the first to experience life aboard a Vegan Overland Yacht. More on that later, but for now if you’re inspired by the ridiculous (in a good way), drop us a line and we’ll talk tofurkey? 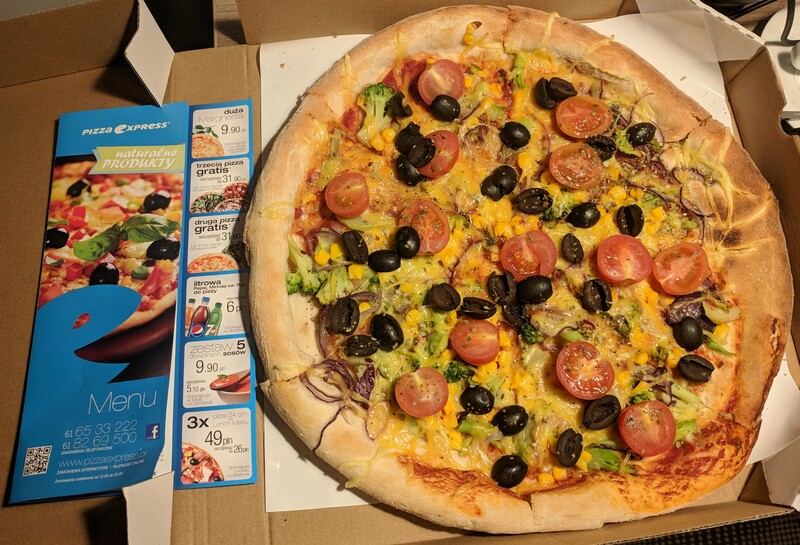 Poland may not be the most vegan-friendly country in Europe, but vegan pizza has made it here too!